The configuration of the studios is 48 m2. All benefit from the best locations with sea view from a large furnished balcony (table with 4 chairs and lounger). For real holidays it is really the ideal place. Bus taxis pass 500 meters from the residence. 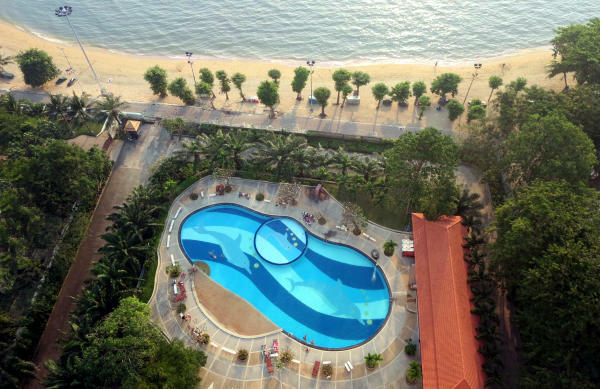 The ViewTalay 3 pool in Jomtien, on the beach. These 48 m2 studios at Viewtalay 3, have direct access to the beach, with no roads to cross. Rates per low season month from 16,500 baht to high season 22,500 baht. In addition they have a separate bedroom.